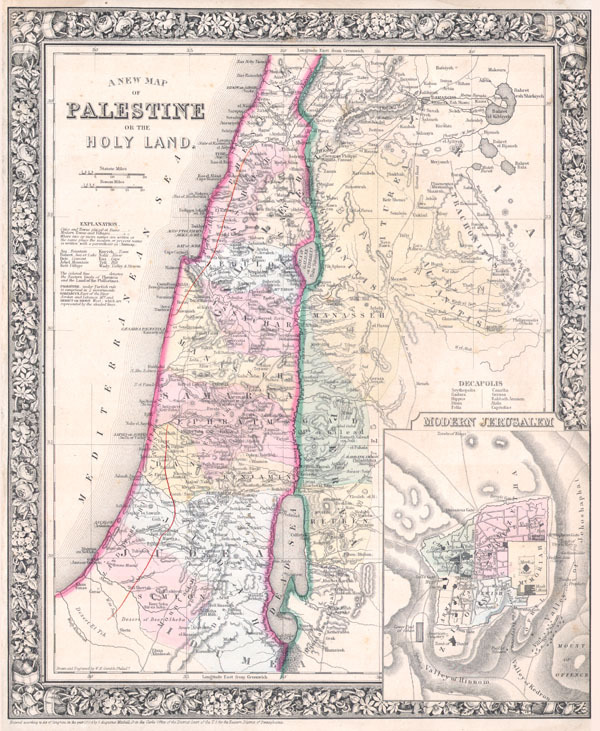 A New Map of Palestine or the Holy Land. Very good condition. Left margin a bit thin but intact. Minor foxing. Two unobtrusive but unusual pen marks along the coast. Blank on verso. Rumsey 0586.067 (1870 edition). The George Washington University, The Gelman Library, Special Collections Research Center, G 7500 1860 .G35.